The next launch of Europe’s Ariane 5 rocket has been delayed from Wednesday after engineers encountered a problem with a cryogenic fuel connector, Arianespace said Tuesday. The launch company did not set a new date for the Ariane 5’s liftoff with communications satellites for commercial operators in the United States and Indonesia, but the delay is expected to be a few days. The rocket was supposed to roll out Tuesday from its vertical assembly hangar to the launch pad in Kourou, French Guiana. 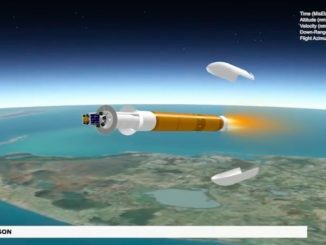 “During preparations for the transfer from the Final Assembly Building to the ELA-3 launch zone, the anomaly involved a fluid connector between the cryogenic upper stage and the launch table,” Arianespace said in a statement. The Ariane 5’s upper stage HM7B engine consumes a mixture of super-cold liquid hydrogen and liquid oxygen propellants. The engine will fire for more than 16 minutes to place the EchoStar 18 and BRisat communications satellites into geostationary transfer orbit, an egg-shaped path around Earth often used as a waypoint to operating posts more than 22,000 miles (about 35,700 kilometers) over the equator. 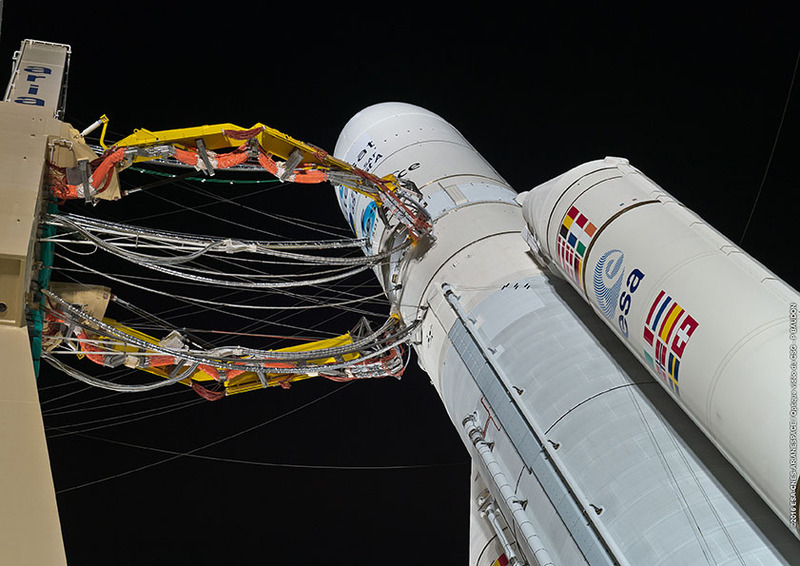 The cryogenic propellants are loaded into the upper stage through plumbing on the Ariane 5’s mobile launch table, which rolls out to the launch pad with the rocket. Arianespace said workers will replace the suspect component and verify its readiness before setting a new launch date. 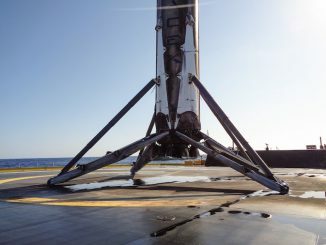 The satellites and launcher are safe and in standby mode, the company said. The EchoStar 18 satellite will broadcast television programming to millions of homes across the United States for DISH Network, while BRIsat 1, owned by Bank Rakyat Indonesia, is the first communications satellite dedicated to support banking services. Both satellites were manufactured by Space Systems/Loral in Palo Alto, California. The flight will be the third Ariane 5 launch of the year, and the 86th Ariane 5 mission since 1996.